The shut-out caps off an exceptionally strong year for the Cougars, who ended the season with a record of 14-2. 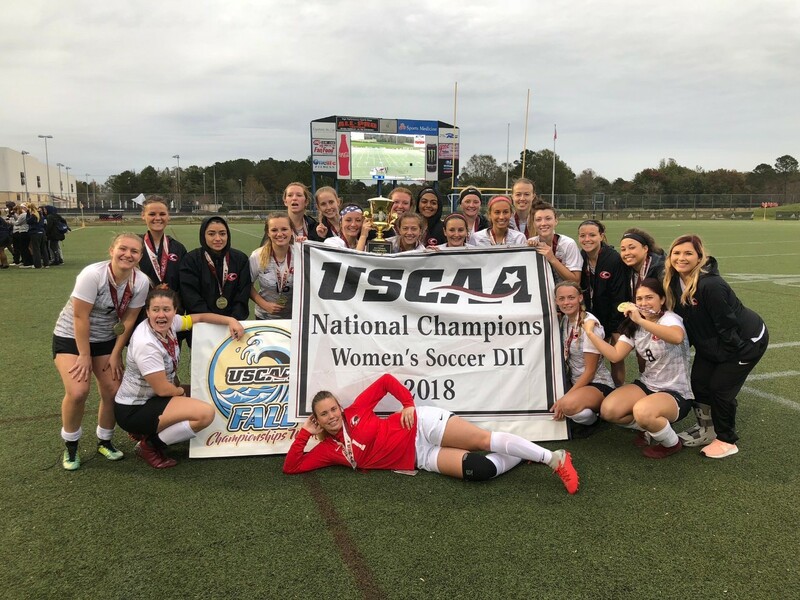 UC Clermont received a goal and an assist in the championship game from junior striker Taylor Greene, including the game's first score on a rebound before the end of the first half. Sophomore striker Kat Richey also had one goal, and the Cougars took a 2-0 lead into halftime. Junior goalkeeper Anna Tessof blocked three shots to keep Penn State off the board, and Coach Blaine Callahan credited sophomore Taylor Mallucky with goal-scoring throughout the tournament and freshmen with stepping up to help. But while outstanding individual talent was crucial, Callahan said that the tournament success was definitely a team effort. Callahan said the national championship is a huge milestone for a program that started only four years ago. He recalled trying to recruit players during the first season by standing on campus, handing out flyers to any student who had ever touched a soccer ball.